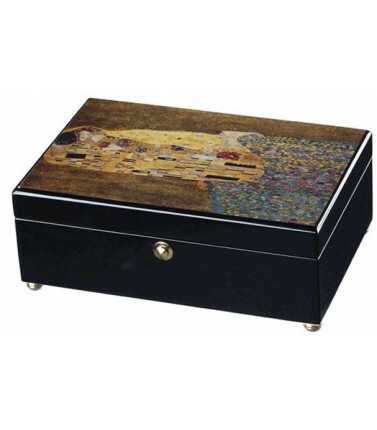 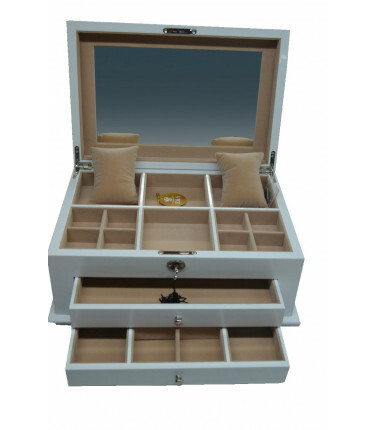 This jewellery box is a luxury gift. 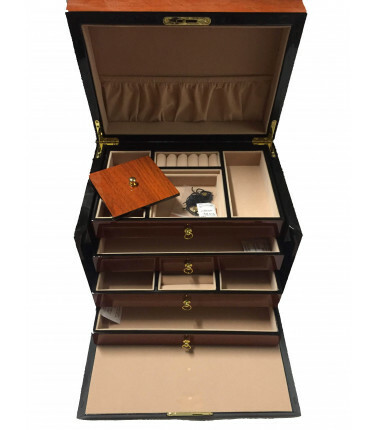 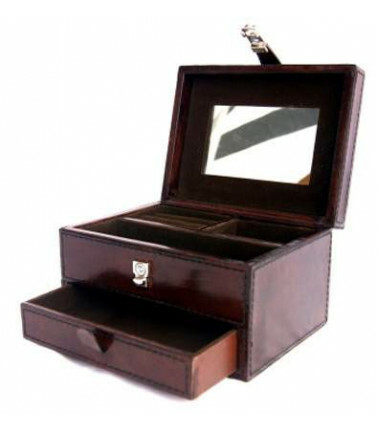 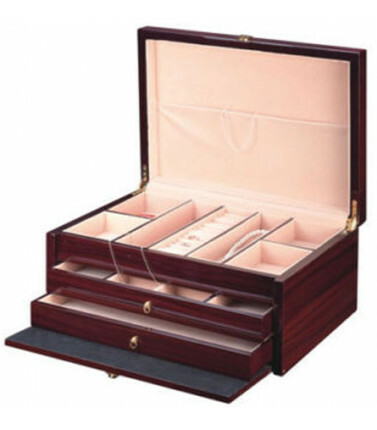 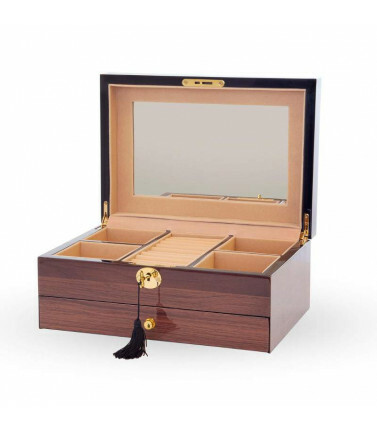 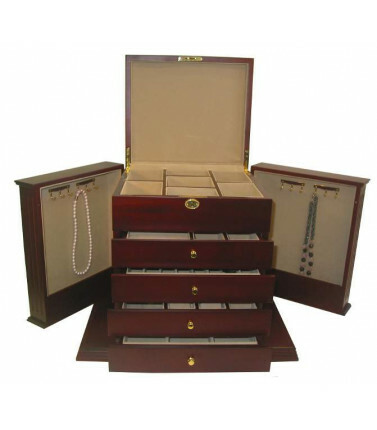 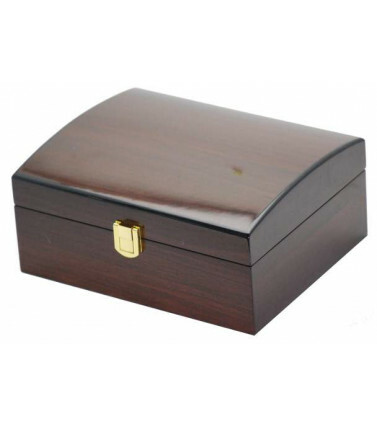 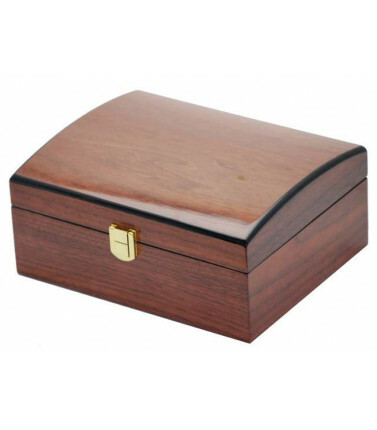 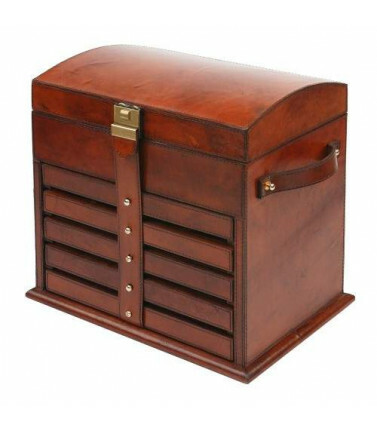 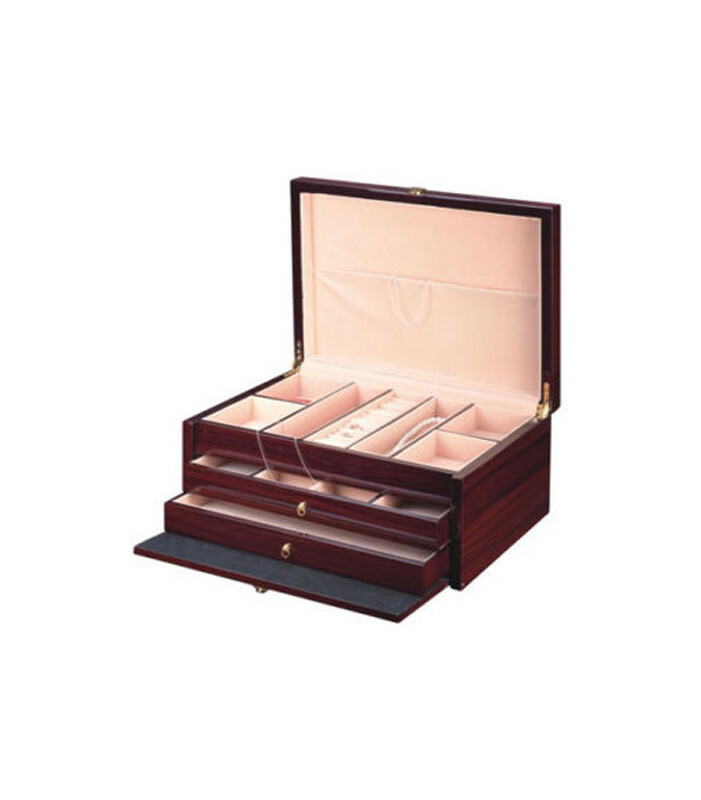 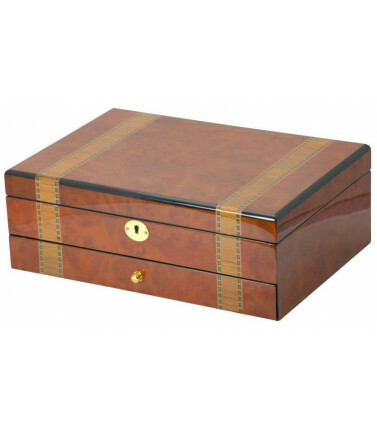 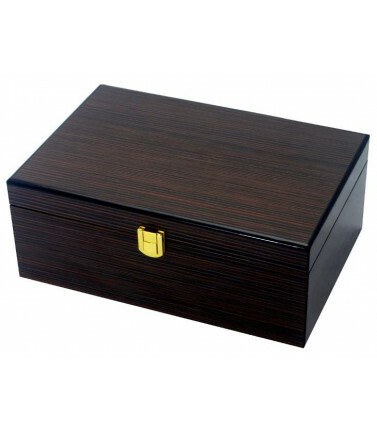 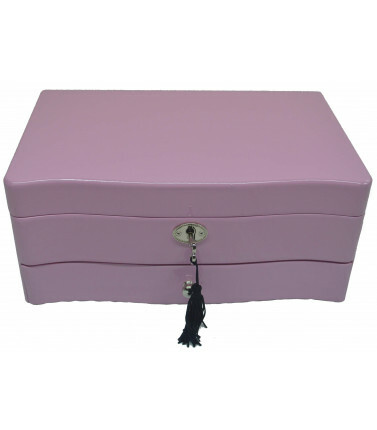 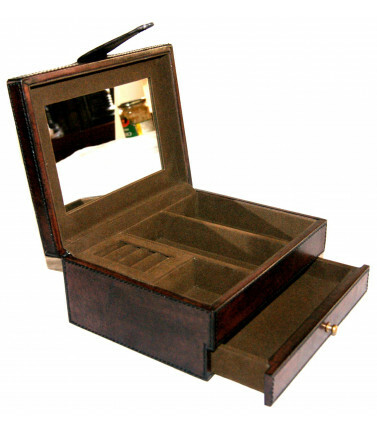 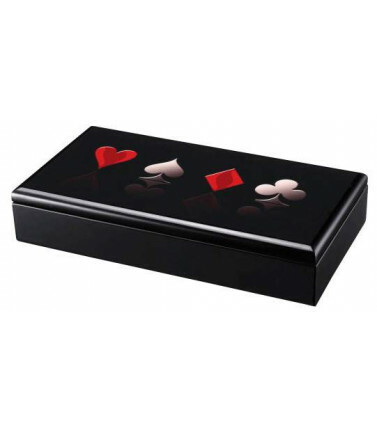 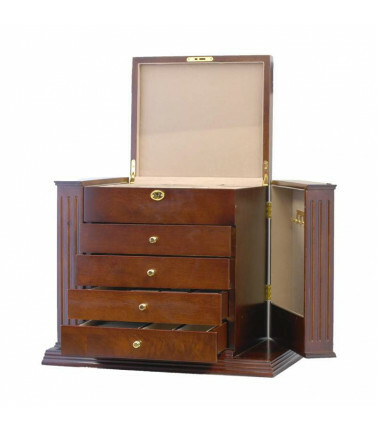 The jewellery box has a reddish high gloss piano finish, with a velvet inner lining. 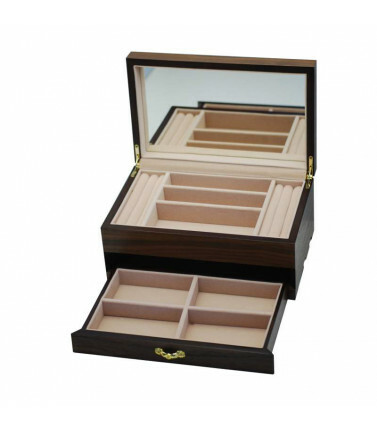 This jewellery box has plenty of space for all your precious jewellery. 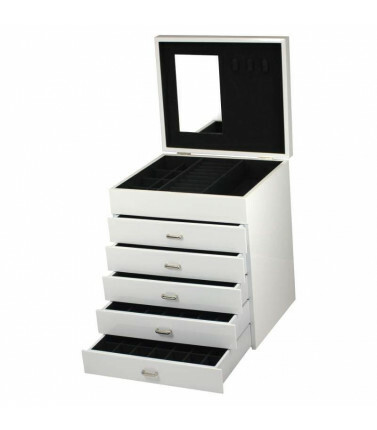 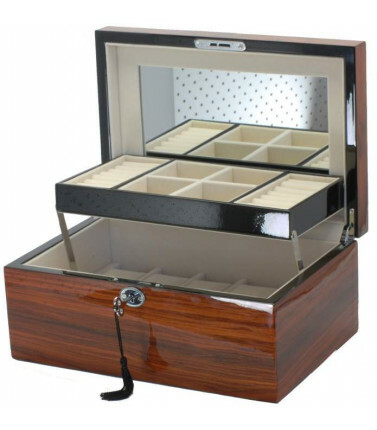 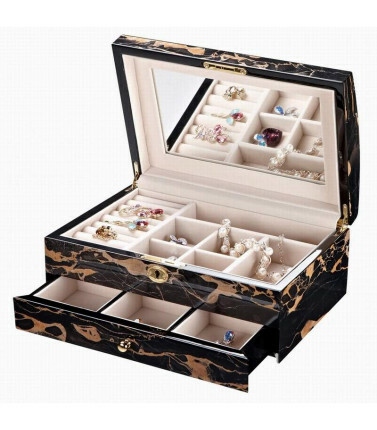 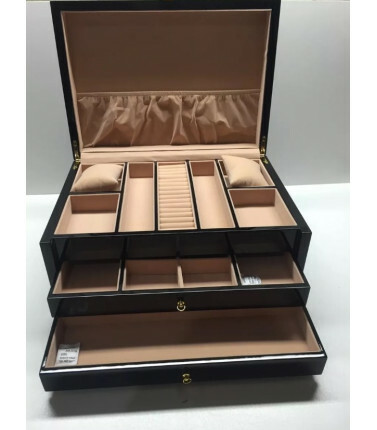 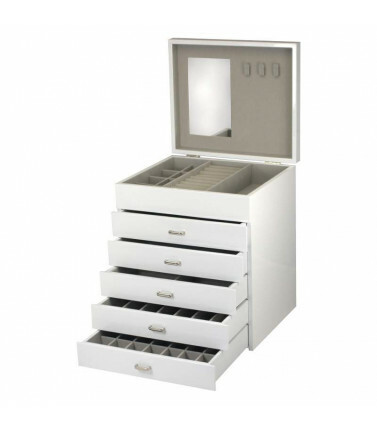 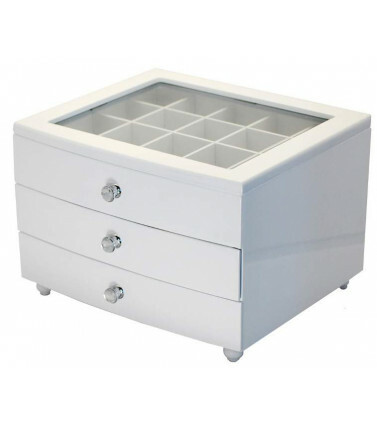 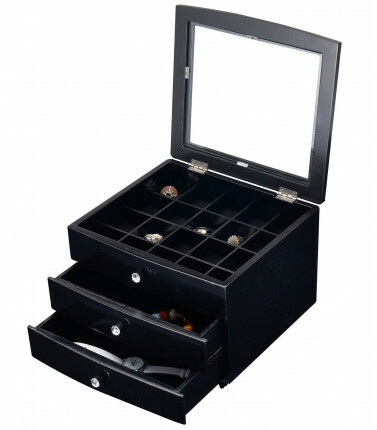 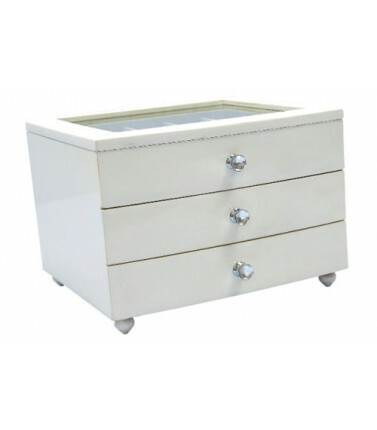 Keep your jewellery organised and protected in this classic jewellery box with two drawers with compartments to organise your rings, earrings, beads, necklaces, watches and other accessories. 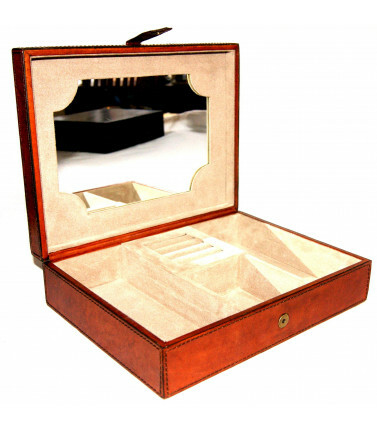 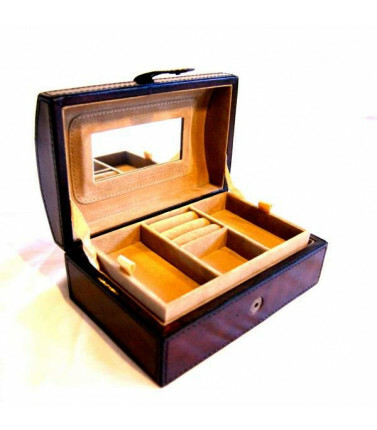 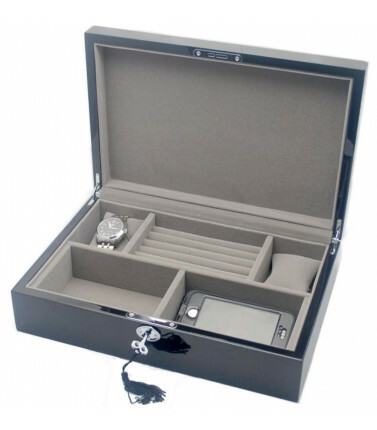 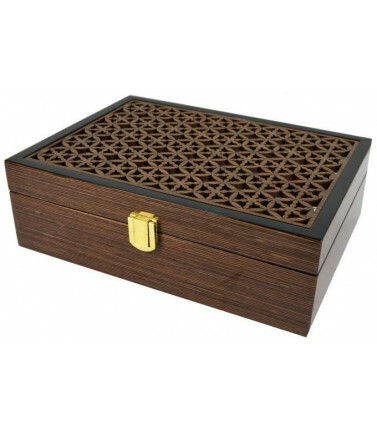 The compartments are lined with velvet to give the box a luxurious feel. 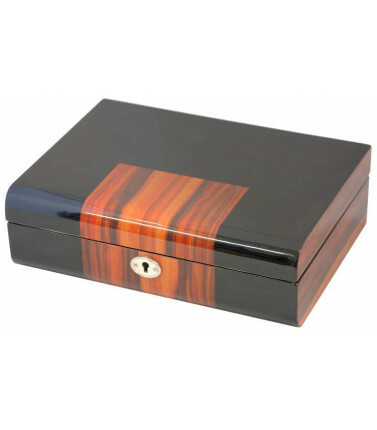 Keep your jewellery under lock and key!